The world of skin care has experienced growth like never before. The skin care industry in the US was always flourishing, but what’s different this year is that the industry is picking up in various places across the globe as well. As a result of this unsurpassed growth being enjoyed by the skin care industry, countless brands have come up and there are just so many options to choose from, irrespective of whether you’re looking for cleansers, serums, moisturizers or something else. Today, I am going to introduce Vine Vera Skincare to all you guys. Vine Vera is a name that hasn’t received a household status yet, but given their products and formulations, I expect that to happen in the next few years. Vine Vera is still in its nascent stages. The company opened only in the year 2011. However, according to their website www.vinevera.com, they have already expanded into most states in the US and a number of international tourist destinations as well. While going through their website, I found out that Vine Vera formulates all of its products around Resveratrol, the red wine ingredient that has received a lot of press recently. 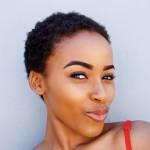 The company also states that they have highly effective product collections for all types of skin issues and skin types. Apart from the use of Resveratrol, I also like the fact that Vine Vera products can be used by both men and women, and both can expect the product to be equally effective. Before moving into the Malbec DNA Collection that I am going to review today, let’s talk about Resveratrol. After all, that’s what these products are all about. Resveratrol has been dubbed as the most powerful antioxidant that can not only protect your skin from the UVA and UVB rays of the sun, but can also go a long way in protecting your skin from free radical damage. If this isn’t enough to make you pay attention, Resveratrol is also considered to be integral to finding a cure for cancer. Yes, that’s what awaits you in those beautiful brown colored boxes offered by Vine Vera. Talking about the boxes, I was pleasantly surprised to see such beautiful packaging. The boxes themselves were pretty much OK, but the interior packaging was really good. The product was placed in a maroon colored satin bed and it simply gave out the feeling of something special awaiting you in those products. Ok, now that the stage has been set, let’s move on to the Vine Vera Resveratrol Malbec DNA Collection. What’s with the name, you might ask. Well, those of you who haven’t already realized this, Vine Vera has named its products after popular types of wine. Why? Umm, the Resveratrol (red wine ingredient) content rings a bell? Yes, so, moving on, let me give you an example. The Malbec DNA Collection has been named after the Malbec wine. All those of you who have tasted the Malbec wine would love it for its dark fruity flavors and smoky finish. The Malbec DNA Collection is quite similar as well. It allows you to look smoking hot and its various flavors can take care of all your skin needs and issues. The Vine Vera Malbec DNA Collection is considered to be one of the most exclusive collections from Vine Vera. It can go a long way in transforming the appearance of your skin and it can also help you reduce your fine lines and wrinkles as well. Furthermore, Vine Vera promises that instead of offering superficial changes, regular use of the Malbec DNA Collection can help the skin to look more youthful, healthier and more radiant than ever before. Ok, so let’s get down to reviewing each of the five products in the Malbec DNA Collection – the Malbec DNA Redefying Serum, Malbec DNA Midnight Cream, Malbec DNA Biology Emulsion, DNA Eye Mask, Malbec DNA Redefying Cream and the Malbec DNA Biology Mask & Resveratrol DNA Eye Mask. The Malbec DNA midnight Cream is one of the most fabulous night creams that I have ever seen. The moment I applied the cream on my skin, I could feel the entire day’s stress vanish into thin air. Our skin faces a lot of damage throughout the day because of the presence of free radicals in the environment as well as the UV rays of the sun. The Malbec DNA Midnight Cream gives you solutions to allow your skin to recover from this damage by offering you with a beautiful product formulation that contains ingredients like Resveratrol, Oligopeptide, Vitamin E and Sodium Hyaluronide. I would suggest all you busy ladies, whether you’re a busy mom or a working woman, to use this cream at night. It can really give you beautiful looking skin the next morning. It certainly worked wonders for me. The Resveratrol Malbec DNA Redefying Cream is exactly what it’s meant to be. It helps you to defy aging and allows your skin to look younger and healthier. Using the cream gives you a silky smooth feeling and a delicious look as well. Some of the main ingredients contained in this cream include Vitamin E, Seaweed Extract, Sweet Almond Extract and Resveratrol. With such luxurious ingredients on offer, there’s no wonder that the Malbec DNA Redefying Cream goes a long way in helping you with anti-aging. My personal experience with this cream was that my skin definitely felt younger and softer within minutes. But, what I liked the most was that the cream didn’t have a distinct smell and it made my skin look radiant instantly. The Resveratrol Malbec DNA Redefying Serum is one of my favorite serums of late. I don’t usually like to use serums because of their sticky and slimy feeling, but the Malbec DNA Redefying Serum is nothing like that. It disappears into your skin within moments and it doesn’t leave you with a greasy feeling either. Some of the main ingredients used in this serum include Green Tea Extracts, Resveratrol, Caviar and Peptides. These ingredients perfectly combine to transform your skin care and give your skin a youthful glow that takes you back years in terms of your looks. 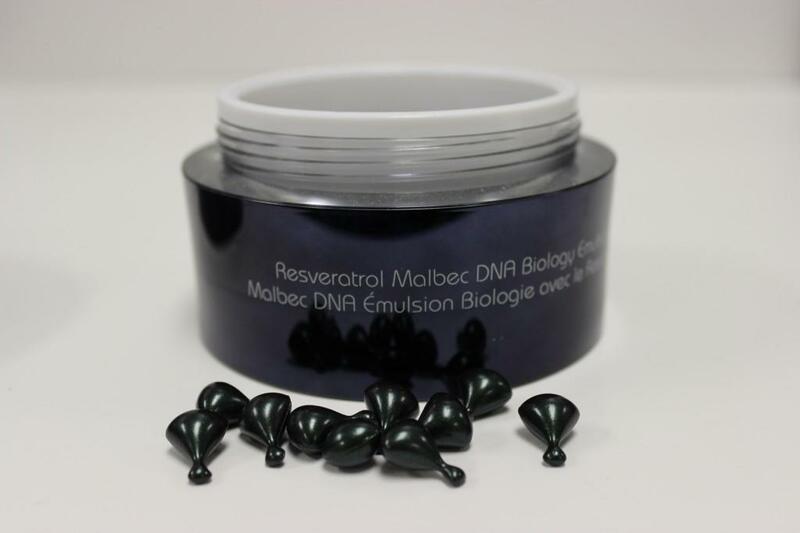 The Resveratrol Malbec DNA Biology Emulsion contain luxurious ingredients like Sodium Hyaluronate, Gold, Resveratrol, Titanium Dioxide, Iron Oxide, Fruit extracts and Flower extracts. These ingredients combine to help you get age-defying skin. I think that this emulsion is particularly useful for all those of you who suffer from sagging skin or wrinkles. Using these capsules can make the face look fuller, softer, silkier and younger as well. I liked the fact that the emulsion comes in the form of capsules. So no prizes for guessing how much product to use. All I had to do was break open a capsule and apply the product on the surface of my skin. 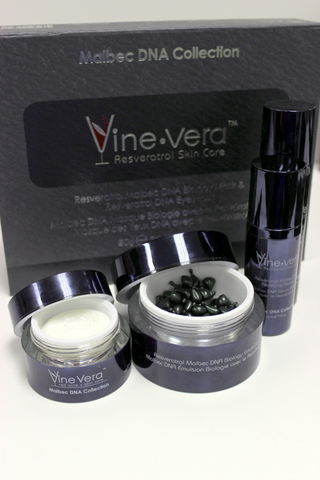 Vine Vera advises customers to use one or two capsules each week, one capsule in each application. You might think that there is very little product in each capsule, but trust me, it’s more than enough for your requirements. The Resveratrol Malbec DNA Biology Mask & Resveratrol DNA Eye Mask helps you to take special care of your eye area and prevent them from fine lines and wrinkles. Since your eyes are the most susceptible to the aging process because of the low thickness of the skin around the eye area, taking special care of your eyes is imperative as well. The Resveratrol Malbec DNA Biology Mask & Resveratrol DNA Eye Mask helps you to do just that. Using this product is quite simple as well. All you need to do is apply the product on your skin once or twice a week. Leave the product on your skin for just 15 minutes and then rinse with cool water. For best results, always use this product along with the Resveratrol Malbec DNA Redefying Serum. A word of caution. If your mind starts to revolt the moment you try to remove the mask from your face, don’t say I didn’t tell you so. The mask is so refreshing and luxuriating that it literally gives you a spa-like experience at home. Getting myself to take off the mask was by far the most difficult thing that I had to do today. To sum up my experience with the Malbec DNA Collection, I would like to state that I loved every second of using the collection. Not only did my skin feel younger and softer, I really felt refreshed and rejuvenated as well. I would advice the Malbec DNA Collection to all my readers and would advise them to add this wondrous collection into their daily skin care routines to experience the true magic of effective skin care.